The abrupt closure of Performance Network Theatre in May left supporters fearing they were out money and an opportunity to see professional actors close to home. The Theatre's new management team hope they've address many of these concerns and the upcoming kick-off weekend can be a celebration of an exciting season to come. Executive Director John Manfredi says they're working with the logistics to ensure everyone that purchased tickets before the theatre closed are happy, "Determined to make good on all those people who bought subscriptions for the 14-15 season going forward. We are honoring these subscriptions. The show titles are different of course because we're a new company." The company has already raised more than half of a $62,000 fundraising goal. The kick-off weekend will include a silent auction and music featuring Naz Edwards on Friday; seven hours of entertainment during the first ever Network Palooza Saturday; and a pancake breakfast Sunday with the lead character in the children's story "If You Give a Pig a Pancake." The theatre will also host the musical "The Big Bang" by the Williamston Theatre starting August 21st. Ann Arbor's Performance Network Theatre may re-open in the fall with operating expenses cut roughly in half. Former staff members and other supporters will present the proposal to the Performance Network Theatre board next week, less than a month after operations were suspended. 89.1 WEMU's Andrew Cluley reports on efforts to revitalize Ann Arbor's Performance Network Theatre. 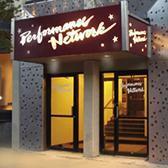 Ann Arbor's Performance Network Theatre has closed its doors. The board of directors suspended all operations effective immediately earlier Thursday. Finding a hotel room in Washtenaw County might be a bit of a challenge this week, restaurants will be a little more crowded, and toilets will be racing tonight in Ann Arbor. Plumbers, pipefitters, and other members of the United Association are in town for their annual training conference. 89.1 WEMU's Andrew Cluley reports on the celebrations planned for the annual United Association training conference. The Ann Arbor Area Transportation Authority ramps up service in a few weeks. The changes are the first improvements funded by a new .7 mill transit millage. 89.1 WEMU's Andrew Cluley reports on the expanded Ann Arbor Area Transportation service coming later this month. The back corner of Ann Arbor City Council and other meetings in the city will soon be missing a familiar face. That's because after a six year run providing the most in-depth online coverage of local government the Ann Arbor Chronicle will be shutting down. 89.1 WEMU's Andrew Cluley reports on the Ann Arbor Chronicle announcing it would stop publishing new regular reports next month.